MEXICO CITY -- Nineteen people were killed and at least 31 were injured Thursday when two explosions ripped through fireworks workshops in a town just north of Mexico City. The dead included four firefighters and two police officers who rushed to the scene after the first explosion, only to be killed by the second blast. Video shot from a nearby highway showed a massive plume of smoke rising up from the area of the explosion in the town of Tultepec. Other images released by local media showed wrecked buildings and scorched ground in a rural patch of modest homes and small farm plots. 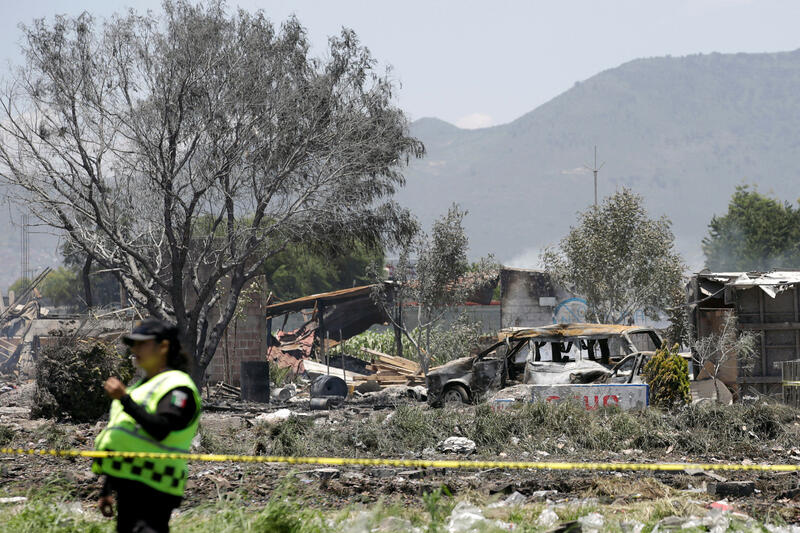 The government of the State of Mexico said in a statement that eight people from Tultepec were killed, along with the six emergency personnel and two others who have not yet been identified. The state civil defense office later raised the death toll to 19, but did not specify who the other victims were in a statement posted to its Twitter account. Deadly fireworks explosions have also occurred elsewhere in Mexico. In 2002, a blast at a market in the Gulf coast city of Veracruz killed 29; in 1999, 63 people died when an explosion of illegally stored fireworks destroyed part of the city of Celaya; in 1988, a fireworks blast in Mexico City's La Merced market killed at least 68; and in 2013, a rocket struck a truck loaded with fireworks for a religious procession in Tlaxcala state, killing 17 people.